The Abu Dhabi National Exhibitions Company’s Capital Gate has been certified as the ‘World’s Furthest Leaning Manmade Tower” by Guinness World Records. 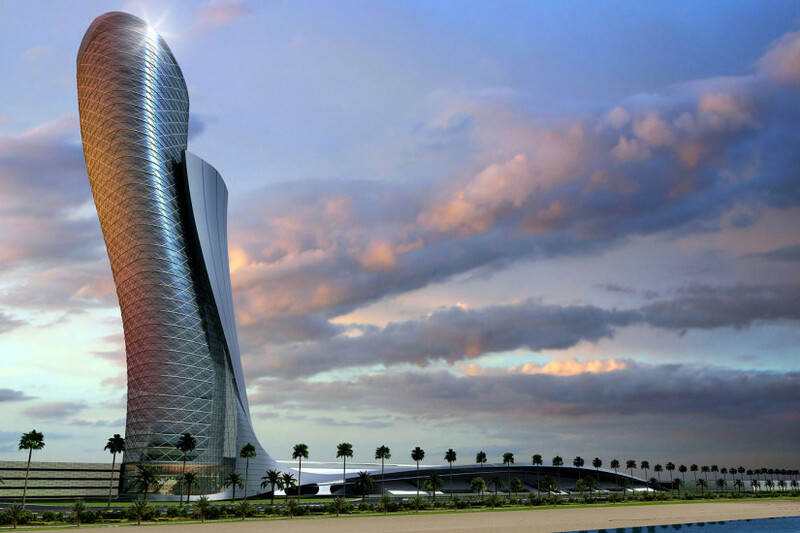 The building is a landmark development for Abu Dhabi, and, with this recognition, the tower takes its place among the world’s great buildings. It sits adjacent to the Abu Dhabi National Exhibition Centre within ADNEC’s Capital Centre, which includes 23 towers of branded hotels, commercial buildings, residential and serviced apartment complexes and mixed-use developments. The project is the largest development on the main island of Abu Dhabi and meets the increasing demand for commercial and residential facilities. Capital Gate contains 35 stories: Floors 1 and 17 comprise plant rooms; Floors 2 through 16 comprise office space; and Floors 18 through 35 house the exclusive, 189-room Hyatt Capital Gate hotel. Capital Gate forms the focal point of ADNEC’s Capital Centre master development, comprising 23 towers including branded hotels, commercial buildings, residential and serviced apartment complexes and mixed-use developments.